I’m glad to show some of my work alongside 100 great Illustrators who studied at HAW Hamburg! 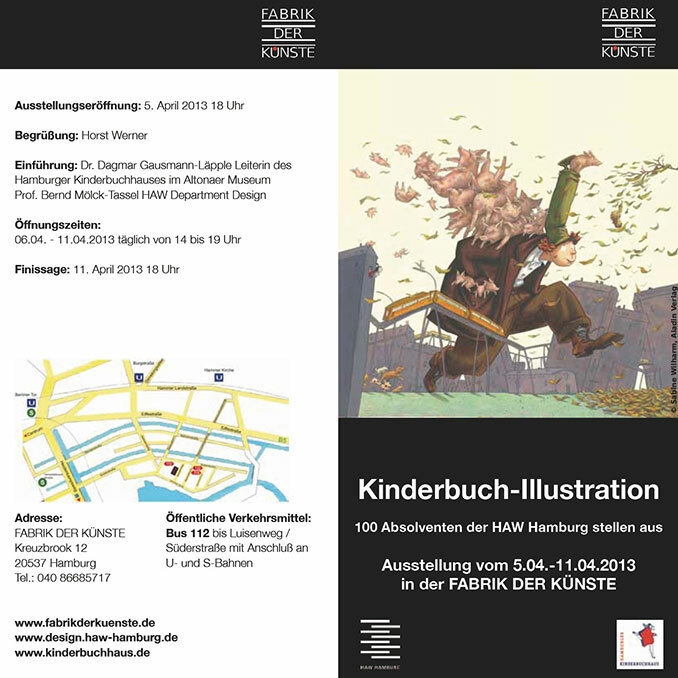 The exhibition will be open April 5th through April 11th at “Fabrik der Künste” in Hamburg. Also there will be a workshop for kids by the Krickelkrakels. Come by on Friday at 6pm to pop some bubbly with us! 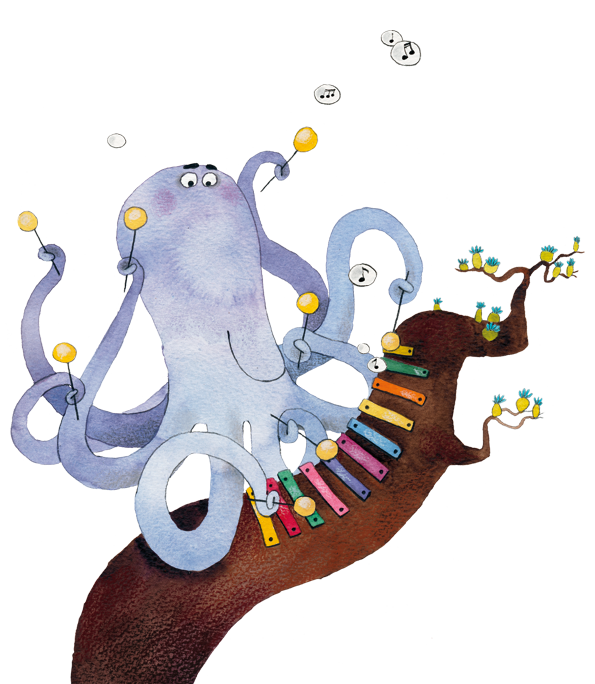 The children’s book “Tuschelmuscheln” was published in february, and is now available in stores and on Amazon . There’s a little introduction and a look inside on the publisher’s website!